Hundred players compete in battle, smoke, and whoever is going to be the winner, which is the most enduring topic of shooting competitive games. Players love this type of game, and it is fun to shoot competitive games in the early years. However, the number of players is relatively small and resources are evenly distributed. Many players do not feel the thrill of it. This PUBG genuine mobile game produced by Photon is a “Chicken” game, which is a span of shooting competitions. The screen is exquisite and exquisite, the gameplay is fresh and varied, and so many players have applauded. In the process of playing the game, players naturally take chicken as the ultimate goal. Today, I will share with you players how to increase the power of chickens by increasing the power of firearms. Many novices are always searching for supplies, regardless of whether they are able to pick up supplies that are in the bag. Is this advisable desirable? The answer is self-evident. Arms and ammunition have not yet been replenished, and backpack space has been occupied by a large number of gun accessories. “If you can’t use it, you can’t leave it to the enemy for no reason.” “This is the inner portrayal of many players. This is not unreasonable. However, before doing such a thing, we should first consider our own situation, select suitable accessories, and assemble it into our own main weapons, so as to increase the power of guns.” Facing the enemy, he can quickly resolve the battle and retreat. After you have determined that your own equipped firearms accessories are adequate and your backpack has a certain amount of space, you may consider picking up other irrelevant accessories and not leaving opportunities for the enemy. 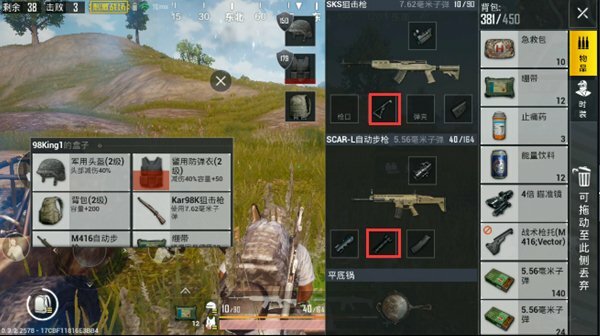 Of course, the backpack space is limited, so in the process of going to the finals, players should also find a hidden and suitable location, throw away these unrelated accessories. In the process of finding a firearms accessory, the player will be the target with the first impeachment. It can increase the number of ammunition loaded on the firearms or increase the rate at which the firearms can be replaced, or even both. Sometimes the enemy could be killed by a few shots, but it was delayed because of a change. This type of accessories will allow players to take advantage of the enemy’s engagement. After the player’s firearms are loaded with magazines, there is no need to worry about this issue. This type of accessories can intuitively increase the power of guns and help players and enemies. In the process of improving survivability. Early in the game The role of silencer or flame arrester may not be obvious, but as the safety zone continues to shrink, such accessories will play a vital role. After the guns used by the players have such accessories, they can find a place that is not easily noticeable and hide. Then they observe the surroundings and find the enemy before launching a strike. At this time, the enemies facing the gunfire may be at a loss, because I don’t know where the player who attacked him is. Therefore, if players find such accessories, they can select the appropriate type according to their own conditions. If they are equipped with long-range combat weapons and they are in the safety zone, they can consider the flame arrester; if they are equipped with close combat The silencer can be considered as a weapon, or as it is in the wild. 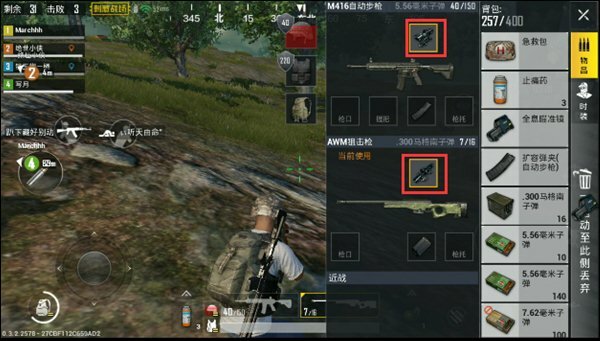 The grip can not be used for all firearms Assembly, this player needs to pay attention. It is limited to some firearms that can be equipped with three components. The effect of the grip is what every player dreams of. When the firearm is assembled with such accessories, it can effectively increase the stability of the gun and reduce its backlash. With such accessories, the power of firearms is astonishing. If the guns can be hit by the enemy, the outcome can be imagined. Players with poor marksmanship can find their own accessories, which can make up for their disadvantages and increase the game experience. After players with better marksmanship find such accessories, they are like icing on the cake, and the winning percentage of chickens can naturally be improved. The purpose of the sight is to enlarge Increase the player’s vision. After the firearms are equipped with such accessories, they can quickly find enemies farther away from them and attack them. In many cases, the enemy did not know who attacked himself, and he fell to the ground. However, the choice of sight can not be careless, not every sight is suitable for assembly on the firearms. Players should be aware that high magnification lenses are more suitable for sniper rifles, and low magnification mirrors are more suitable for rifles. 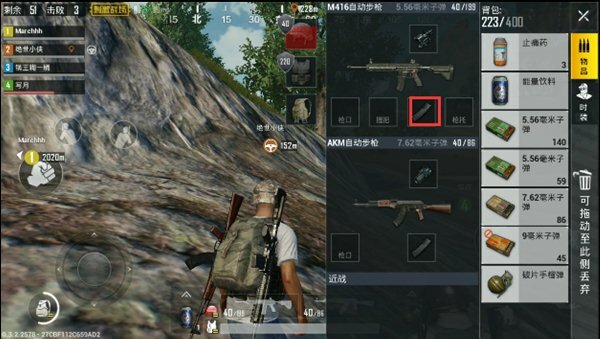 If a sniper rifle is equipped with a 2x scope, the effect is minimal; if a rifle is equipped with an 8x scope, it may be slightly affected. Influences make the enemy run away. 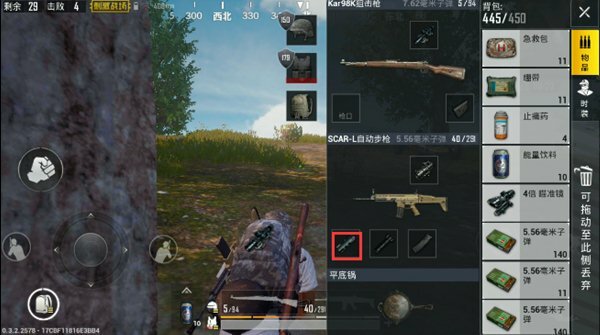 This PUBG genuine mobile game product produced by Photon has a clear picture quality, high degree of reduction, and simple operation, and it strives to be the best in the future.With a conscience, I hope all players will cover their improper points and give them great support. After knowing the related effects of various accessories, players can enter the game, enrich their experience, and improve their skills, so that they can eat chicken steadily, and the game is full of fun.